When Conduit, a leading web publishing platform, asked us to help them run a Twitter campaign celebrating their participation in Mobile World Congress in Barcelona we couldn’t be more excited. Running a successful campaign on Twitter requires not only resources – more importantly a willingness and dedication to engage your community in an open and authentic manner. It also requires having the right set of tools that would enable effective engagement, without being overwhelmed. When Conduit, a leading web publishing platform asked us to help them run a Twitter campaign celebrating their participation in Mobile World Congress in Barcelona, we couldn’t be more excited. Working with a company whose philosophy is summed-up by the motto “engaging people” is a privilege. Participants with the most retweets would receive a valuable prize – a flight and entrance to MWC. The campaign quickly gained a lot of traction. People shared their connection to the brand (“Fly me to #MWC12 because my students and I use conduit in my classroom #ConduitMWC12″), and repeatedly asked their followers to retweet. After 2 weeks of build-up, the nominees were selected, and finally the winners were announced. Measure – Using the Engagement Report (found in the Advanced tab), the Conduit team could access the core engagement metrics for the #ConduitMWC12 hashtag (such as # people participated), and get a full list of the participants, with their relevant statuses, and sort them by their overall rating and the number of retweets they got. Support – Our dedicated account manager was available during the whole campaign for any issue the Conduit team faced. We worked with Conduit as one team with a mutual goal. 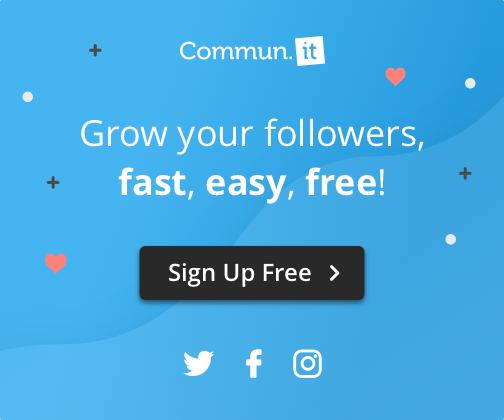 Hundreds of Twitter tools claim to provide the most comprehensive analytics feedback, but Commun.it tops the list of Twitter engagement tools, helping you manage your community more efficiently and drive more business. Furthermore, their client management team is always on hand to support and guide you, and to ensure the feedback gained is specific to your business goals. Commun.it has consistently proved to be a great service. Mark tweets with a unique hashtag – identifying participant’s tweets by a unique hashtag (#ConduitMWC12) allowed us to effectively monitor engagement, and filter participants’ engagement from the rest of the community. Measure retweets – measuring the number of retweets of the participant’s statuses meant that the campaign rewarded influence. Participants with larger, more active community had a bigger chance to win. This is a win for the brand, since naturally influencers command a bigger impact on how much engagement and awareness is created by the campaign. It’s not only about monitoring – Conduit used Commun.it to not only monitor engagement and get detailed reports, but also to engage and connect with influencers that participated in the campaign. This is important, since long-term relationships and brand loyalty are created by 2-way communication, not 1-way. Want Us to Help You Run a Successful Campaign? Great stuff guys and congrats! Question – when you’re measuring retweets for a campaign are you looking at uniques so one person cannot “game the system” by continuously retweeting for a participant? when monitoring a campaign, we gather and analyze all the engagements relevant to the campaign (tweets that mention the relevant hashtag), and all the engagements made with those tweets (retweets, etc). We also user various techniques to make sure the participants don’t try to “cheat”, as in the example you provided.